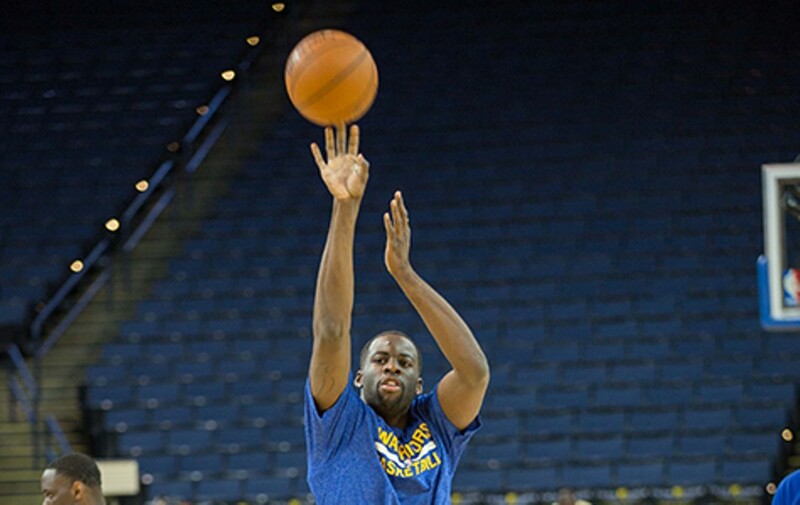 Bert Johnson Draymond Green rushed his shots and missed every three pointer on Monday. Charles Barkley christened it the best game of this year's playoffs. Other broadcasters called it "a performance for the ages" and "something we'll talk about for a long, long time." History knows it as the finest overtime playoff performance ever. And what a screenplay it would make: The Warriors go in to game four of the Portland Trailblazers series aiming to limit Stephen Curry's minutes. He comes off the bench for the first time in four years, and he misses his first nine three-pointers. Then, his replacement is ejected, for the first time in his 12-year career. Pushed into action, the MVP plays 19 second-half minutes and all five of overtime. In OT, he scores the first 12 for the Warriors, and 17 points for the period, an all-time NBA high. He outscores the entire Trailblazers team and finishes with 40, this just hours before he'll win the first ever unanimous MVP award. The 132-125 thriller in Portland last week essentially iced the series. It told Warriors fans that Curry, despite weeks on the sideline, is ready to respond to doubters all over again — because that's his favorite thing to do. It was also the ultimate victory in a season brimming with them. I've outlined five of the biggest regular season wins, below, but there were so many monster Ws in this unprecedented season: epic victories such as a 119-113 scorcher over the Orlando Magic, when Curry became the first player to notch 300 three-pointers in a season; and the sizzling triumph over the Memphis Grizzlies, to break the seemingly unbreakable single-season record for wins. The following games from this season are more than crucial victories. They also inform what will happen in the second half of the playoffs, and what the Warriors must learn to repeat as champs. Despite its historical significance, Golden State fans weren't surprised by Curry's overtime in Portland. Some of the best foreshadowing came in a game the Warriors needed to keep its early unbeaten streak intact. Perennial all-star and Curry nemesis Chris Paul went a perfect 7-for-7 for 18 points in the first to help roll out a lead that reached 23. With its home crowd roaring, the Clips still led by 10 late. 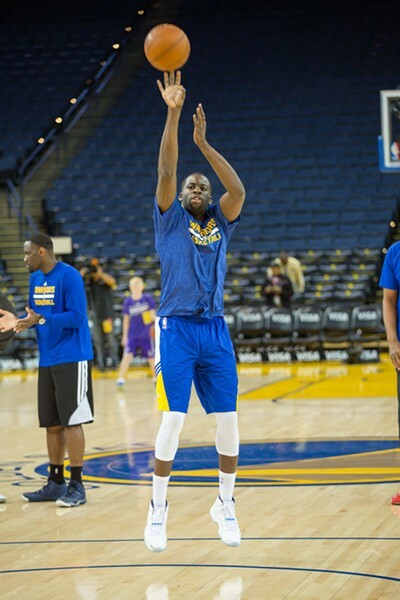 Harrison Barnes, Draymond Green and Andre Iguodala kept them in range until Curry caught fire, overcoming early foul trouble and a defense specifically designed to stop him. He eventually exploded like a shook-up soda, going for 40, and the Warriors won by seven. The takeaway: This is more than a supporting group that backs the two-time MVP. They're good enough to win without him, against top talent, as they demonstrated here and the first two rounds of the playoffs. And when they do have Curry, no lead is safe. Just two seasons ago, the Clippers knocked the Warriors from the playoffs. Now these Ws have bigger Ws on their mind. As Clipper star forward Blake Griffin told reporters after that game: "I wouldn't call this a rivalry. They're the better team." Truth. Even before the Warriors claimed that Clipper win to go 13-0, the comparisons with the Chicago Bulls of Michael Jordan, Scottie Pippen and Dennis Rodman — who won 72 games in 1995-96 with Warriors Coach Steve Kerr as a three-point specialist — were intensifying. That's another reason the Ws ultimate achievement beats the Bulls: Not only did they gather more road wins, consecutive home wins and overall wins, they also did it defending their first title in 40 years, under a media microscope vastly more powerful than the mid-'90s. This particular game turned in part on signature Golden State explosiveness. After spotting the Bulls an early first-quarter lead, they roared back, keyed by one of the most iconic Curry plays of the year: He wrestled the ball from center Joakim Noah and lobbed it to Iguodala for a soaring alley-oop, all in one motion, sending Oracle Arena into a frenzy. When the Bulls tied things late, clutch three-point shooting led to another furious fourth quarter and a win. With it, the Dubs equaled the 1957-58 Celtics as the only defending champions to win their initial 14 games, setting up their record 15 straight versus the Denver Nuggets the following game — and 24 straight to start the season. The takeaway: This team can best the Bulls — and any team in history — statistically and competitively. And it's not just how much they win, but the way they do it: Sharing the ball (a league high 28.9 assists), enjoying one another's company ("There's happiness in the locker room," Ws commentator Garry St. Jean says), and drawing non-basketball fans to the game with their enthusiasm ("I love it because these guys have fun playing together," TNT commentator Kenny Smith said last week). But those comparisons fall apart if they don't emerge as champs. As Thompson said as early as this Chicago game, "It ain't no thing without a ring." The finals rematch, the first since last year's championship series, was hyped as much as any regular-season game all year. As with the finals, LeBron James was dominant, with a game-high 25. And when Curry went to the locker room with strained right calf, Dub Nation got a preview of its playoff panic. But Green came out omnivorous, piling up 10 points, 6 rebounds, 3 assists and 2 blocks in the first quarter. That boosted his all-star candidacy on a major stage, as he came three assists shy of a triple-double and added clinching free throws in the final seconds, while limiting Cavs forward Kevin Love to 5-for-16 shooting. Livingston had 16 on 8-for-9 shooting, giving the Dubs huge lift on a day they shot a woeful 41 percent. Takeaway: Green, who would lead all forwards, including James, in assists, asserted his versatility against the Cavs. He guarded multiple positions and led in transition. With Curry's injury, Livingston demonstrated the dependability that has been — and remains — huge. Luke Walton demonstrated further depth, continuing to fill in admirably for Kerr and deploying subs Ian Clark and James Michael McAdoo in the fourth to help seal the game. The Cavs learned they won't get any easy wins in Oakland for a while. The first half, which closed at 35-35, served as a testimonial to buckle-down defense. The Warriors responded to their lowest-scoring half of the year with a 12–0 run triggered by Curry, who poured in 16 of his game-high 37 in the third quarter. And it wasn't with shooting so much as savvy: When the Spurs overplayed his outside shot, he started penetrating with a variety of elaborate — even baffling — finishes at the rim, taking what the defense would give him and bludgeoning them with it. The upset meant the Ws tied the best record ever and the Spurs wouldn't have the first ever undefeated season at home. Perhaps more importantly, it meant the Warriors ended a haunting losing streak in San Antonio that stretched to the Chris Mullin days (1997). The takeaway: The win gave the Ws more road games victories than any team before it, but it meant something more, given where they did it, which is why Curry grabbed the game ball: They can beat anyone, anywhere. They've won a road game in nine straight playoff series. The way OKC and Cleveland are playing, that will be vital. And it served further evidence that the Ws play their best when playing the best. They only lost five games to playoff teams all year, and went a mighty 17-1 against the league's top four teams, winning by an average of 10.5 points. For the third time in as many games, the Warriors beat their Western Conference rivals and limited their explosive triple-double machine Russell Westbrook. But it didn't look like a win was in the works as the most recent MVP not named Curry, Kevin Durant, bombed from outside and sliced to the rim to push out a 13-point lead, serving a reminder only the Warriors eclipsed the Thunder offense in efficiency and average points. Also, Curry went to the locker room when Westbrook stepped on his ankle. Few remember that, given an insane fourth quarter and overtime, punctuated with the shot of the season: Curry's long distance three from just across half court with 0.6 seconds left in overtime, his 12th of the game, which tied an NBA record. With this win, Dubs faithful suddenly saw a very real chance to run down a seemingly distant wins record. The takeaway: While the Ws can't expect Westbrook to have many more underachieving games — as he demonstrated with a dazzling second half of game one on Monday night — they have learned how to make life difficult for him, making him work on D, limiting easy looks and minimizing transition chances. They learned they can exploit OKC's middling defense, including a weak fast-break D and its mediocre outside shooting. They learned Iguodala is effective at slowing down all-world Durant. Another lesson, served up as dramatically as they come: Curry can shoot from distance better than anyone. He can close games with clutch shots as well as anyone. But no one can end things from so far away. And he loves the biggest stages at the most pressurized times.